No home library is complete without the classics! Adventures of Huckleberry Finn is a keepsake to be read and treasured. One of the most popular books of all-time, Adventures of Huckleberry Finn has been both venerated and vilified since it was first published in 1885. The story of a young abused boy on the run and his friendship with a runaway slave is about loyalty, compassion, and doing what is right, and it remains one of Mark Twain’s greatest achievements. 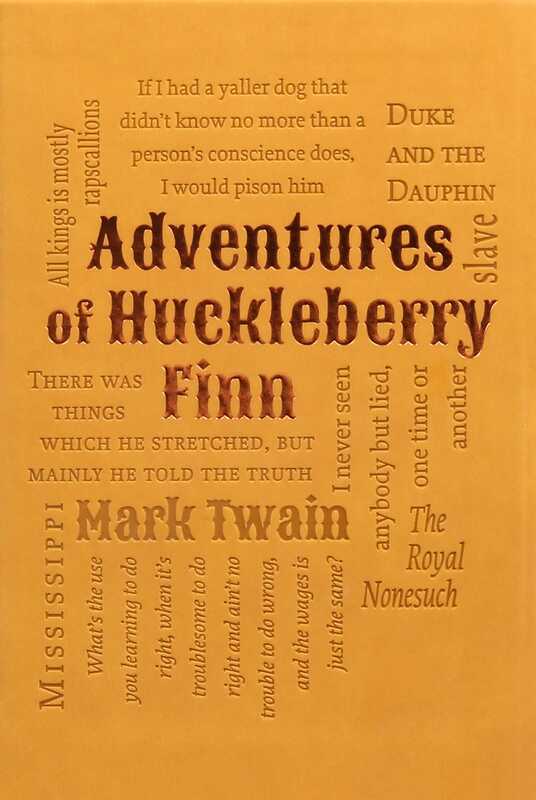 Now available as part of the Canterbury Classics series, Adventures of Huckleberry Finn is a must-have addition to the libraries of all classic literature lovers. Born Samuel Langhorne Clemens in 1835, Mark Twain is arguably the best-known American author. Most celebrated for his witty and satirical writing, Twain was also very well-known during his lifetime for his oratory and storytelling skills. Twain passed away in April 1910.